"I bought this after having listened to it at the end of a yoga class, and recommend it highly. It was such a wonderful and relaxing cool-down, while, at the same time, being very informative. 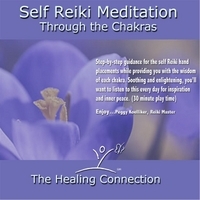 I can never remember which colors and what complements go with each of the classic chakras, but this CD goes through them in such a way as to make the information useful even as you are lying there, listening (like inhaling the color of the chakra she is speaking about). It is full of all sorts of information, and by the end of 30 minutes, you are relaxed and connected. What a treat!" "I bought this for my mother-in-law who was recently certified in Reiki 1. She has loved it and said it is excellent and highly recommends it for students or for a refresher."